Take the Cake will put your puzzle-solving skills to the test with lighthearted, physics-driven gameplay and a minimalist art style that never gets in the way of the action. In Take the Cake, Frank the Friendly Furball is on a mission to track down his stolen cake. Playing as Frank, you’ll face off against nasty robots and menacing bosses as you progress through five mysterious environments – and 27 levels – by changing Frank’s color and exploiting gravity to your advantage. Stay alive by avoiding falls, sharp spikes … or becoming a snack. If all else fails, you can always pick up a handmade rocket to even the odds! Explore 27 levels across five colorful environments. 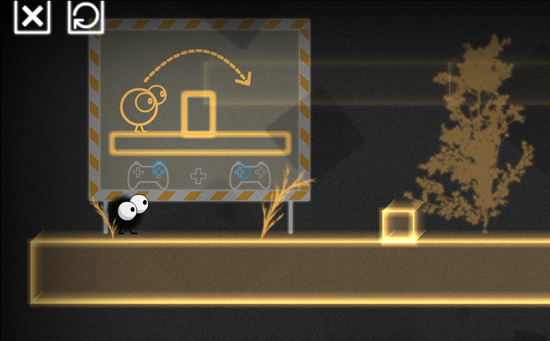 Experience platforming with realistic physics and color-changing mechanics. Choose how to play – either with a keyboard or gamepad. Compete against other players for the best completion time in each level. Enjoy an epic story told without a single word. Take the Cake is now available on the Windows Store and Steam (Windows only) for $9.99. The Itch.io version can be purchased for as low as $9.49.